Wombat's Gaming Den of Iniquity: State of the Wombat: Been Sick. Oy! State of the Wombat: Been Sick. Oy! There's this strain of flu going around which doesn't cause a fever worth mentioning, but it makes you feel sick for a couple of weeks. And guess what I've had since just after Christmas! My apologies to those who came to Game Day for the possible infection. Despite that, I'm getting things done. I'm feverishly churning out piles of little notebooks for the March Mythoard box as organized by +Jarrod Shaw. How can I say no to getting paid while advertising Wombat's Workshop to 300 gamers? 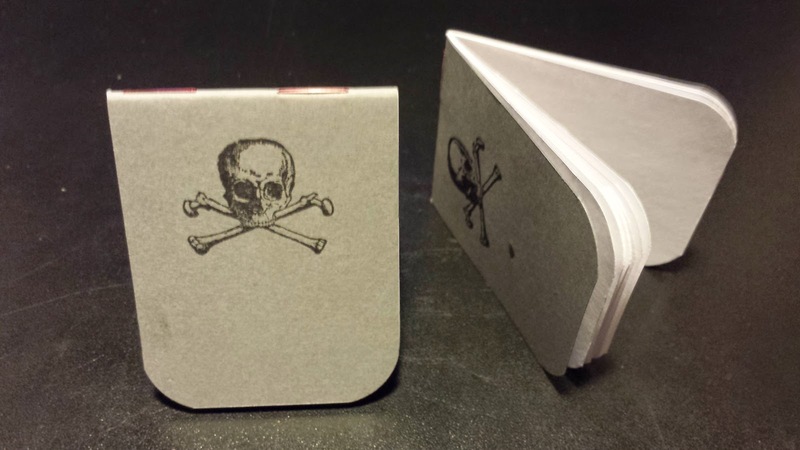 I'm stamping them with skulls and calling them Tombstone Notebooks, though I'm open to other name ideas. You can stand them up to mark your fallen PCs on the battle map and scribe a remembrance inside after the encounter's done. Tombstone Notebooks, ideal for tracking PC deaths. I'm editing a few projects. Hellspike is the 6th Pocket-Sized Encounter from Iron Tavern Press, featuring a subterranean mage's tower. I should have that one done later today. Also be sure to check out the Labyrinth Lord version of PSE1: Kajak's Kave! I'm also working on The Demon Stones, the first full-blown adventure from MonkeyBlood Design. I'm waiting on the full manuscript, but the maps and text I've seen so far are first rate. 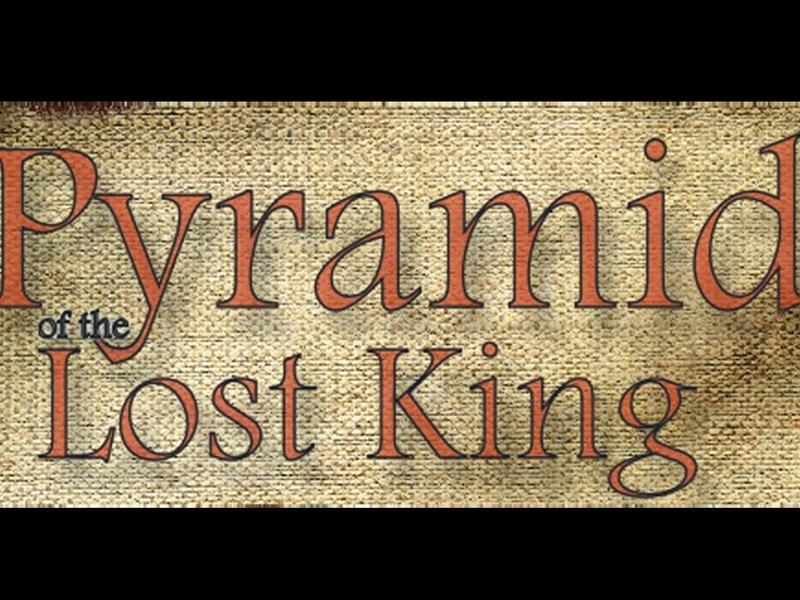 The Pyramid of the Lost King Kickstarter from +Johua De Santo at Genius Loci Games is rolling along. If it funds, I'll be editing. If the stretch goals fund, I'll probably be editing another couple of adventures, one from +Tim Shorts and the other from +Erik Tenkar, which is just cool. We're over 25% funded on the third day of 60, so I think we'll make it. Just to be safe, take a look at this Swords & Wizardry adventure and consider pledging to fund the Pathfinder and D&D 5e versions. And yes, the writing is just about done. Pledge Now! I'm starting a Play-By-Post Classic Traveller game over at Hai, the social network site designed and coded by +Brent Newhall. It'll be mostly game, but partly a stress test of Hai. I'm guessing a move or two per week will be about the speed of the game. I'll send out the link to the public room if you want to watch the action unfold. Heck, I may publish in-game news stories as they occur. I'm still working on setting up the Etsy store for Wombat's Workshop. More as it happens. That's a fair pile of things on my plate for January. Let's see how the next couple of weeks go. Also, since I'm focused on making smaller notebooks, I have all these strips of paper left over, which seem to be perfect for making Hexaflexagons. Now I'm thinking about possible game applications for these little 3-sided (or 6-sided) bits of joyous folding paper. Ideas welcome.